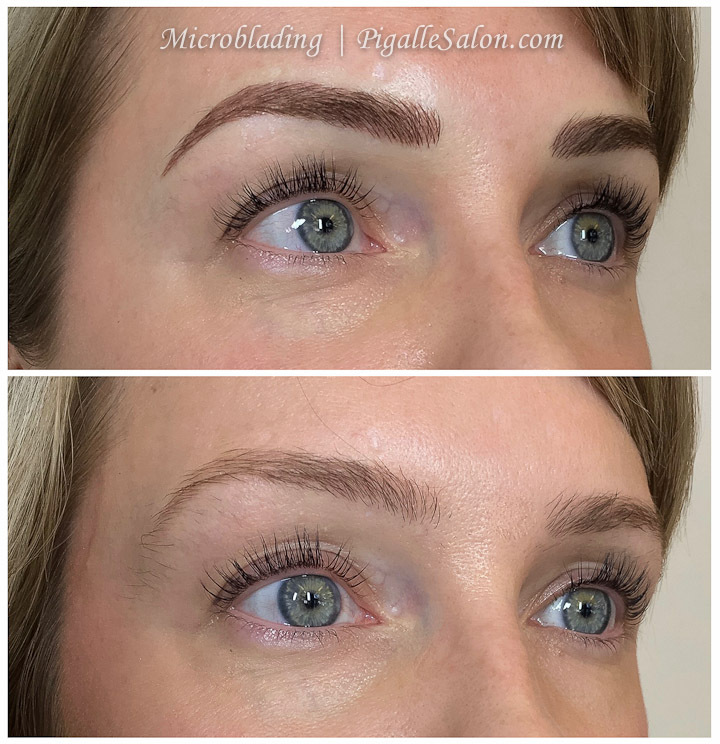 Recently emerged, microblading – the most revolutionary permanent makeup technique, allows us to create perfect multi-dimensional brows that mimic your very own and fill in the sparse areas, naturally blending with your own hair. 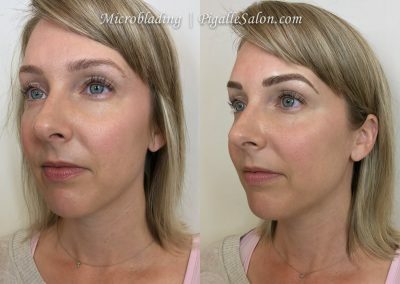 Microblading technique uses a hand instrument with a fine blade that precisely deposits pigment into the epidermal layer of the skin. This allows for color to be placed closer to the skin’s surface making the strokes appear sharp and very fine. 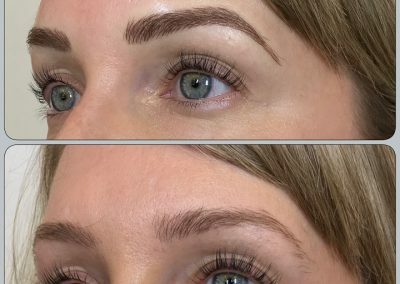 The result is a very natural look with fine hair like lines – gently enhancing the eyebrow’s natural features, giving clients more confidence in their overall appearance. 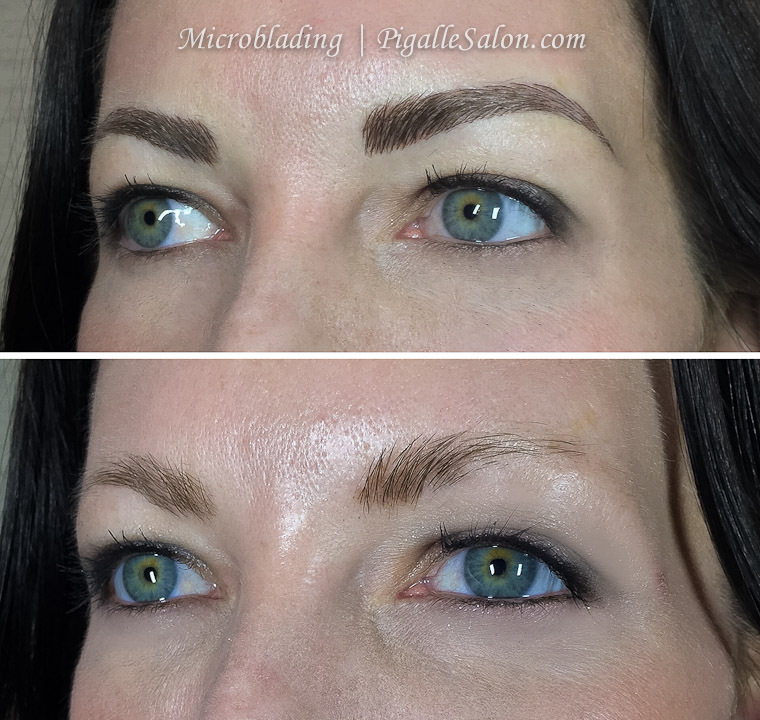 Microblading is a semi-permanent makeup procedure that lasts up to 3 years. 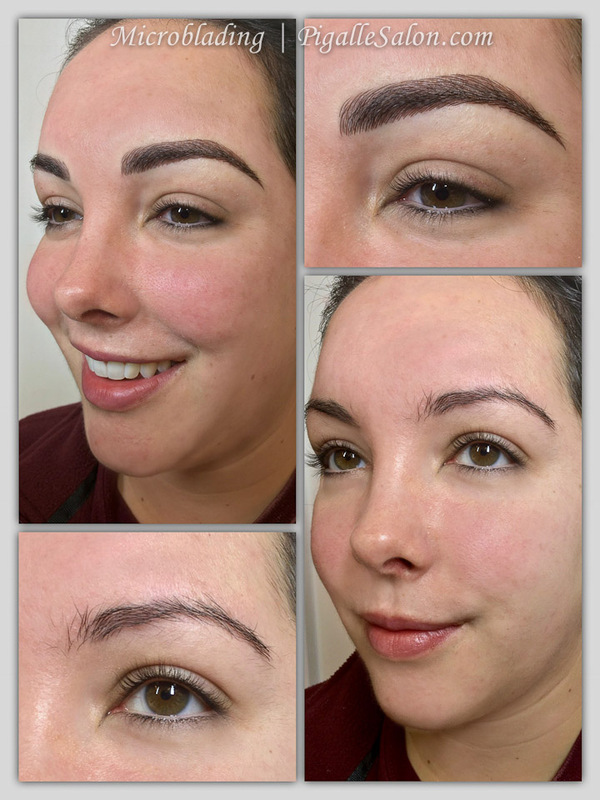 Most natural and multi-dimensional eyebrows looking as your very own! 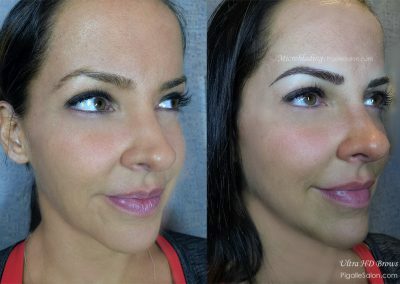 Save time 24 hours a day with maintenance free beautiful eyebrows! You can swim, exercise, even cry without worrying about your makeup smearing or coming off! 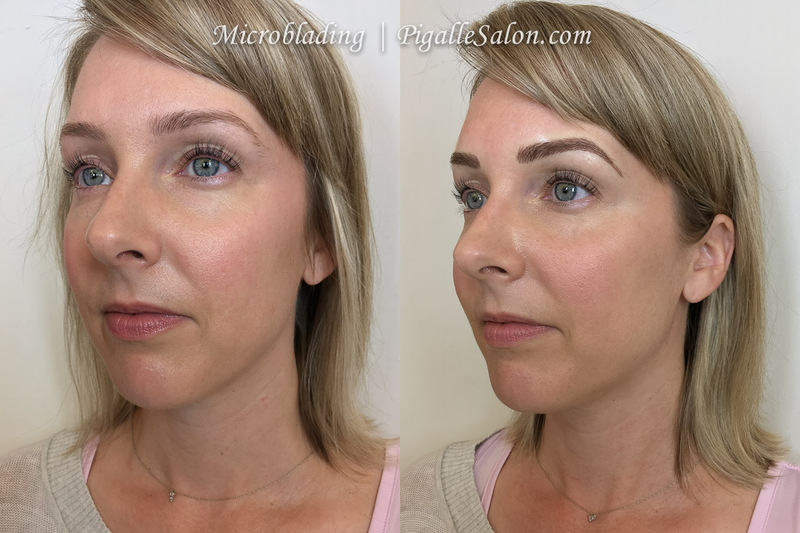 Enhance your natural features and say goodbye to your eyebrow pencil! 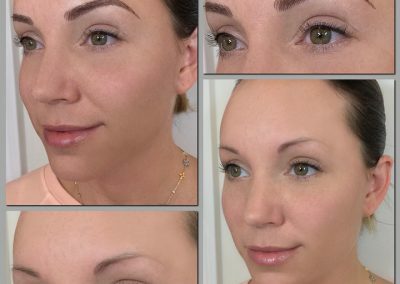 This innovative reconstruction involves the creation of a volume pattern on the skin. 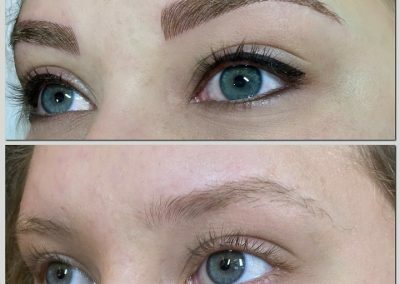 It imitates the natural growth, direction, thickness, bend and color of the eyebrows by creating an HD eyebrow structure with ultra thin, multi-length and multi-color pigmented hair strokes. 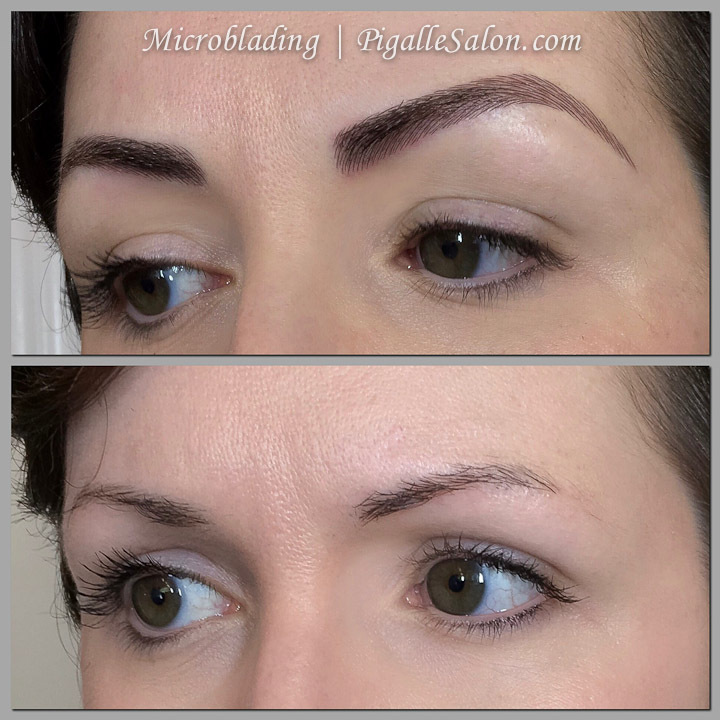 Microblading HD Brows are the most realistic, perfect, hassle-free eyebrows you have always desired. The results can last up to 3 years. 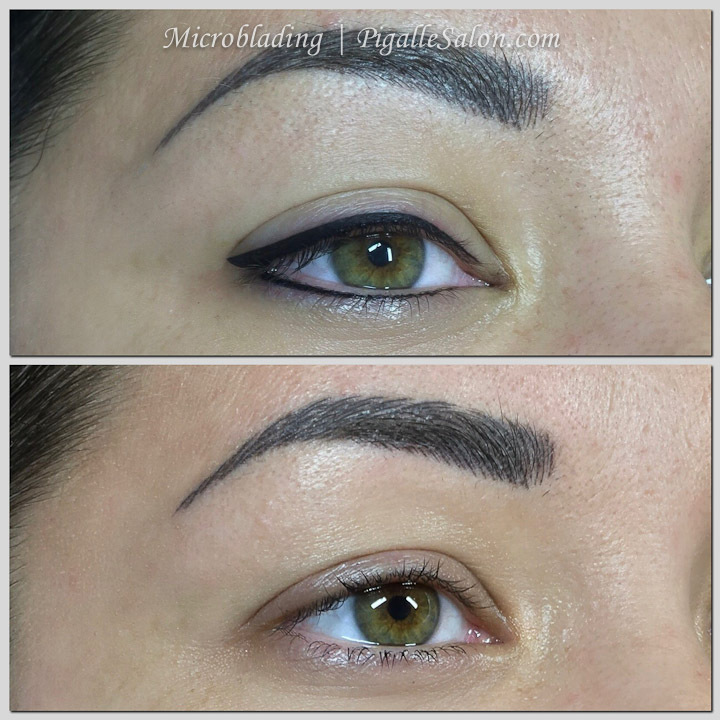 Ombre Powder Brows are shaded in from light to dark, giving an ombre effect that looks soft, subtle and natural. 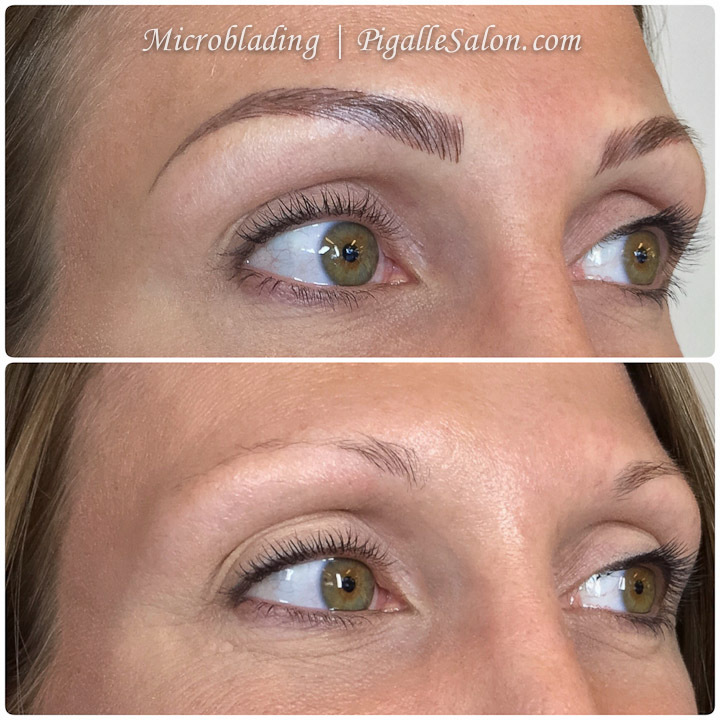 Can also be combined between Microblading hair strokes. 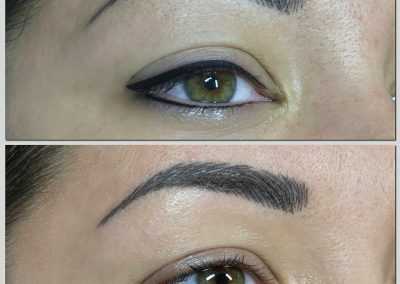 Our professionally trained Permanent Makeup Artists will consult with you to determine the most suitable design to achieve your desired look. 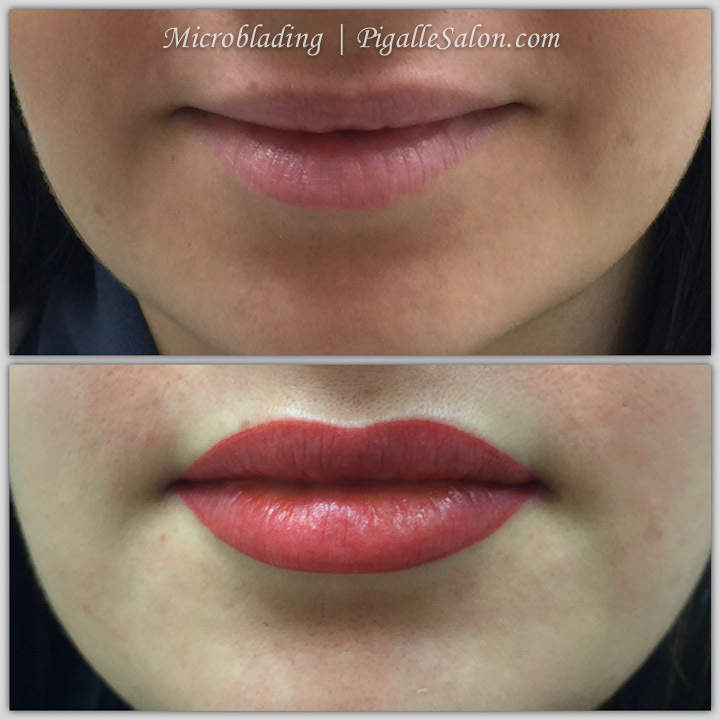 Our Facility and PMU Artists are licensed in the State of Michigan. 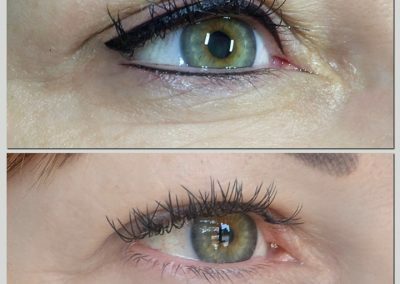 Our permanent eyeliner and eyelash enhancement techniques are created to achieve a smudge proof, stunning finish. 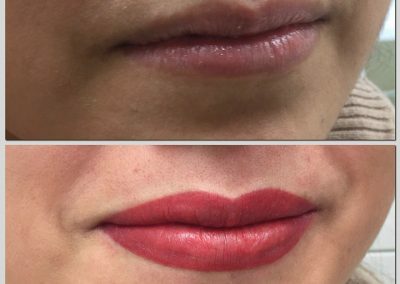 Our signature technique can create fuller more defined looking lips far more effectively than fillers can, however if you currently use fillers you may want to define your lip borders and enhance your color. 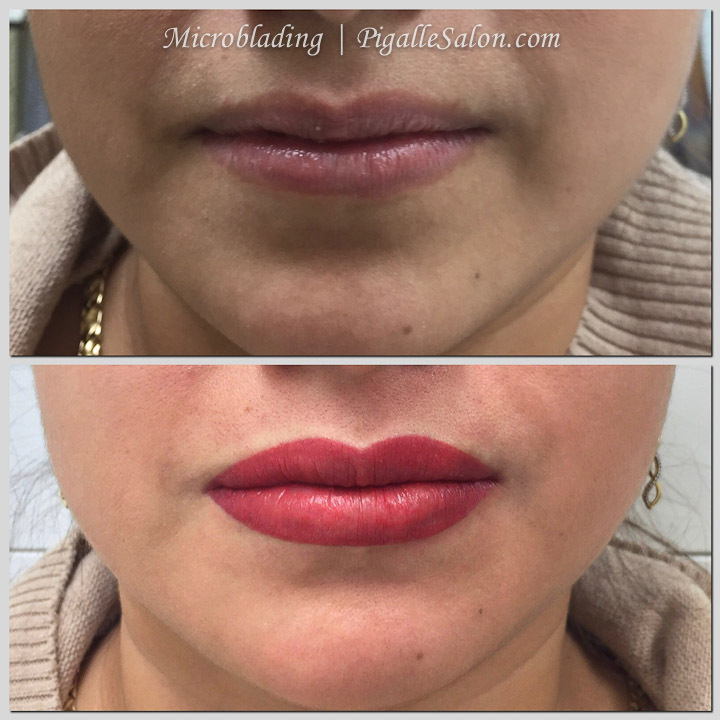 We determine what effect is needed to contour the lips to correct lip asymmetry and shape giving you that desired cupids bow, then a soft blushing effect is used with a custom-blend of shades to help add depth and dimension to the lips. 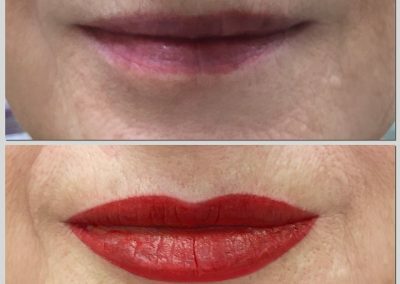 Lip Stain Is the perfect natural look for those who just want the appearance of that opaque/sheer lip stain. This is also ideal for men who just want a subtle brightening effect to their lips. 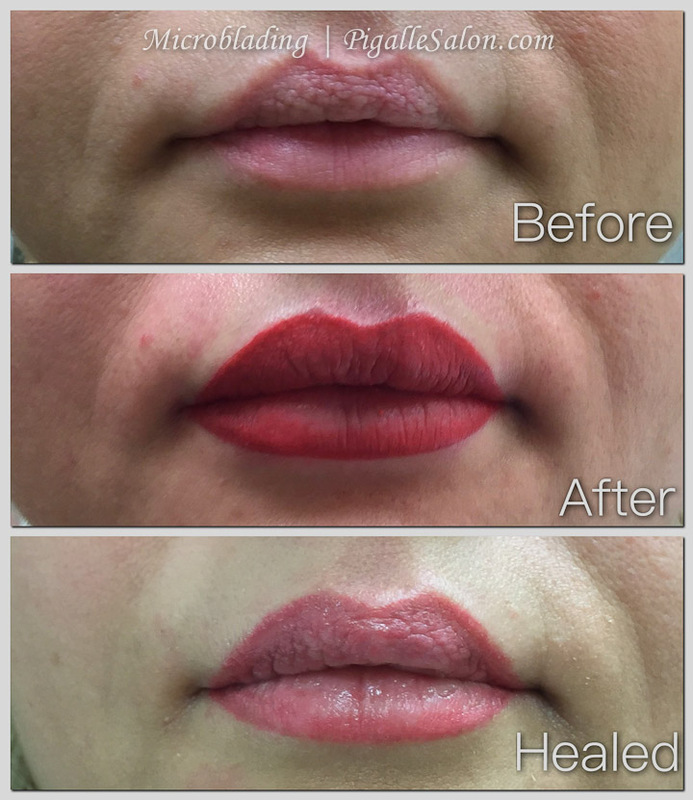 Lip Liner is available separately as well. 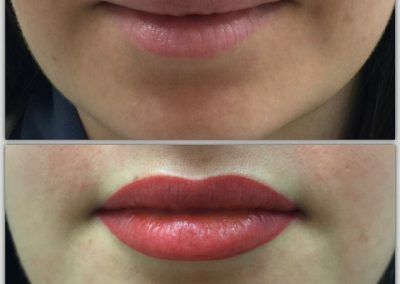 Lip Ombre enhances the center of your lips, giving you that desired pout by using a gradual fading technique lightening the color as we reach the center of your lips. 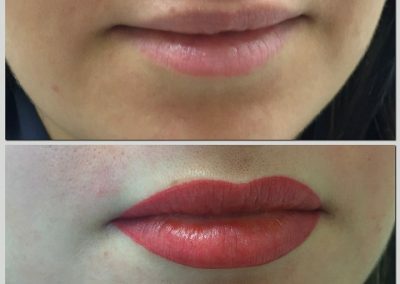 Lip Highlight defines your lip contour with a natural highlight, making the overall look pop. 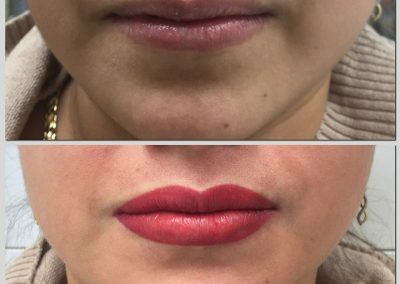 * We recommend bringing your everyday lipstick and lip liner with you to ensure that we match a color you are most comfortable with. As the client you are in control of your procedure. 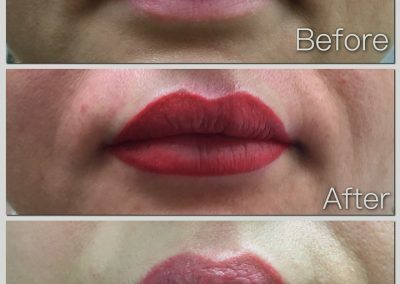 We will only proceed once the shape and color is approved by both the technician as well as the client for any of our procedures. 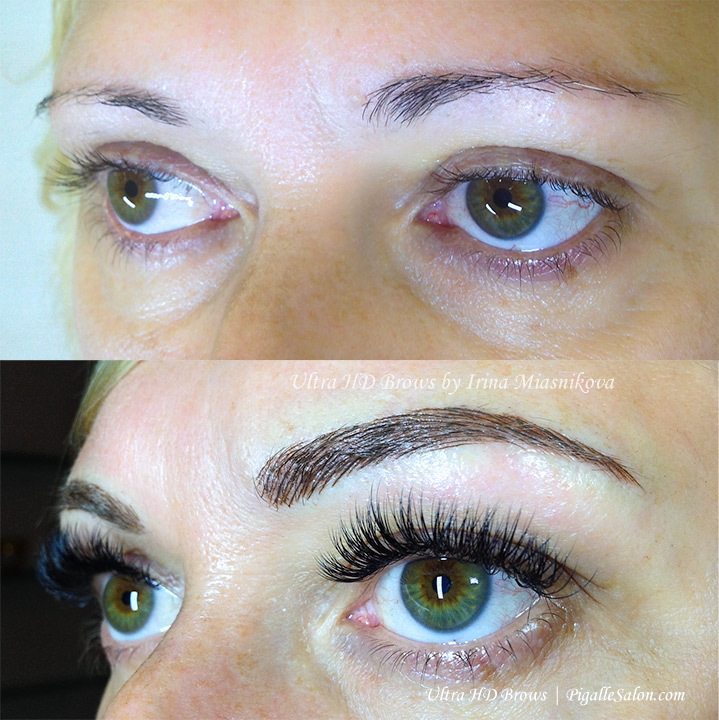 Firstly you will make an appointment for a complimentary consultation. 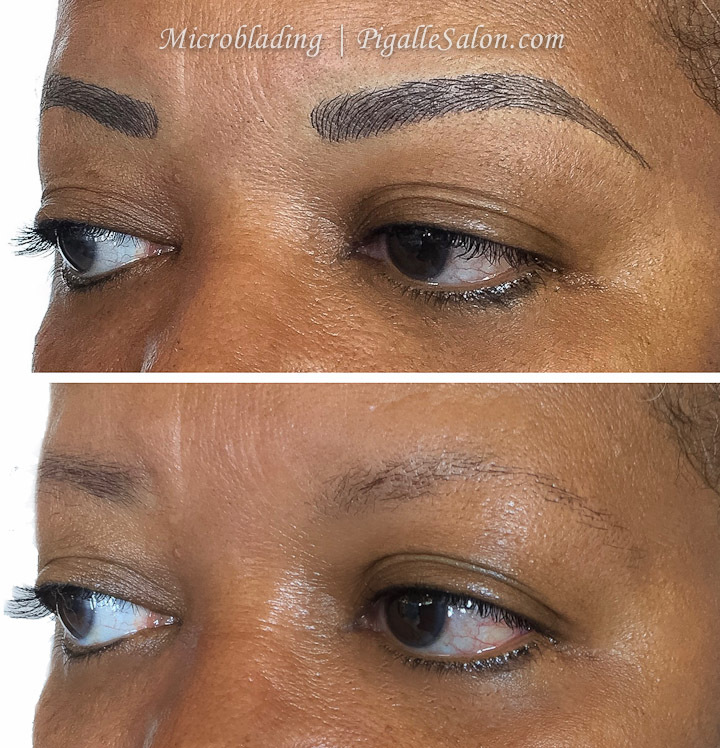 If applicable, you will be provided with a clean-up and shaping of your natural eyebrow and consulted about your desired design, shape and color to determine a final look together with one of our expert eyebrow technicians. 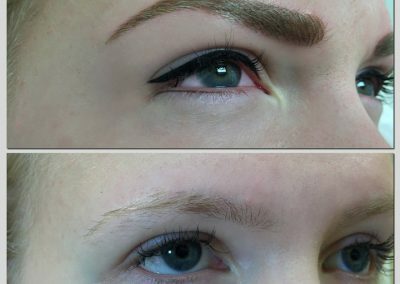 This appointment must take place at least three days prior to your actual eyebrow tattoo appointment. 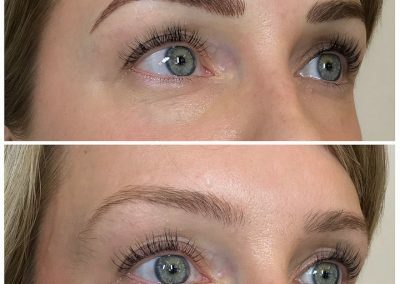 On the day of your eyebrow embroidery appointment your eyebrow technician will draw the desired design pattern onto your skin and once perfected, an anesthetic cream will be applied to the area for up to 30 minutes to minimize your discomfort. 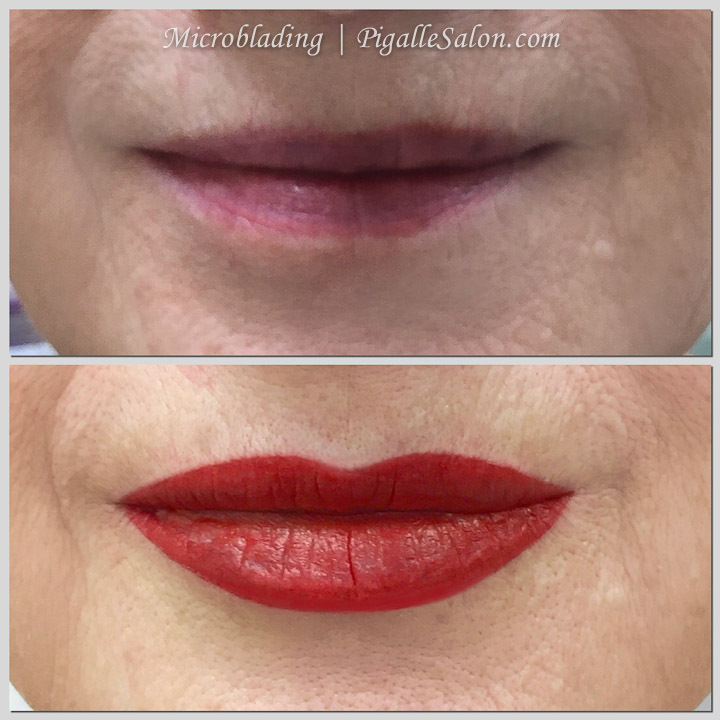 Your session will than begin and your customized pigment color(s) will be applied using the selected hand method technique. 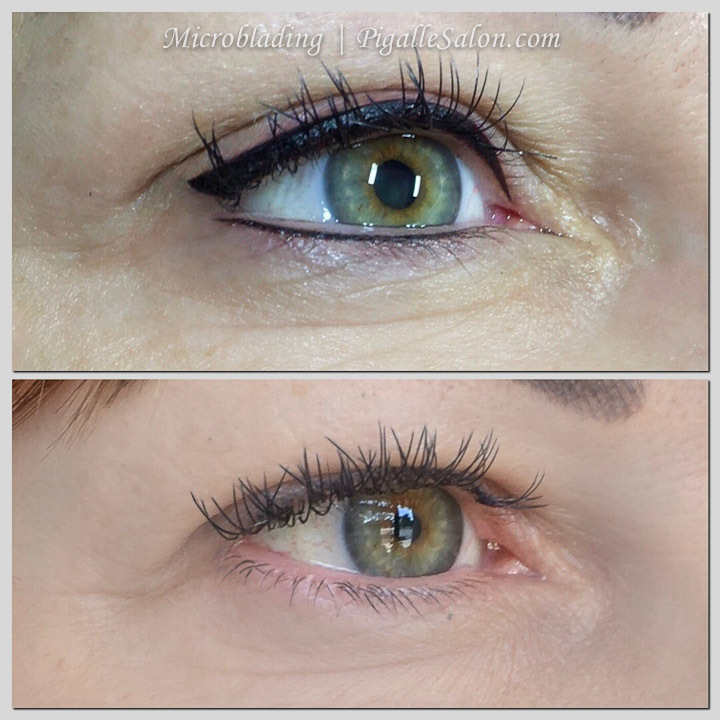 Upon completion your eyebrow technician will apply a soothing lotion to assist with your healing process. 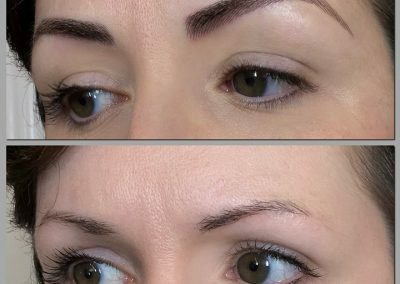 How do the results differ from the traditional machine method of eyebrow tattooing? 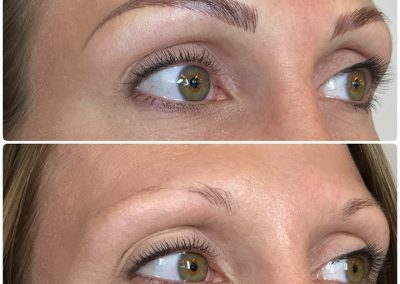 Unlike the traditional eyebrow tattoo, eyebrow embroidery looks completely natural and does not leave a flat, dull and fake look that traditional tattoos may leave behind. 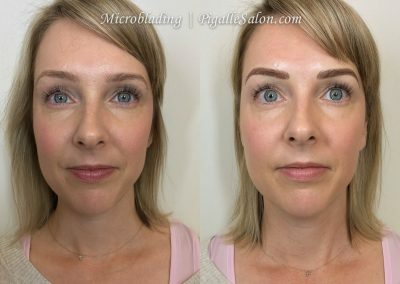 Microblading hand method creates even fine hair like strokes by manually applying gentle pressure along the surface of the skin with a hand instrument. Compared to the traditional tattoo rotary machine’s needle going deep underneath the dermal layer with vibrations causing irregularities in the lines with strokes blurring, spreading or being too thick. 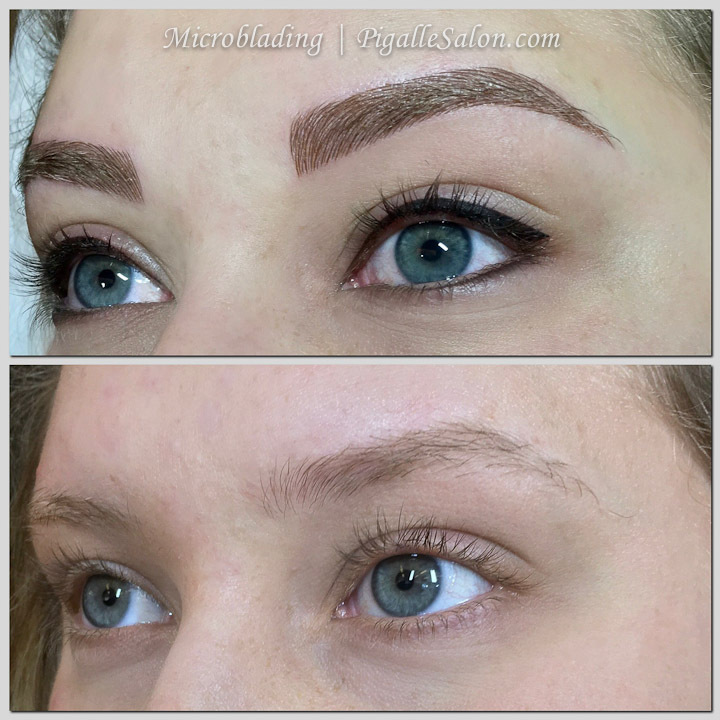 Yes, our hand method tattooing technique is the closest and most natural resemblance of one’s own eyebrow hair strokes. 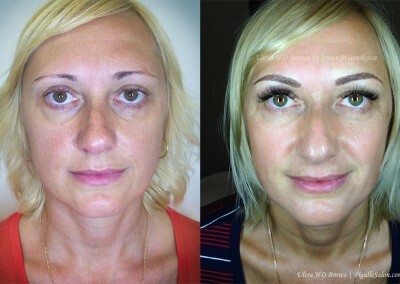 Immediately after the treatment the color will appear stronger and darker for the first 7-14 days. 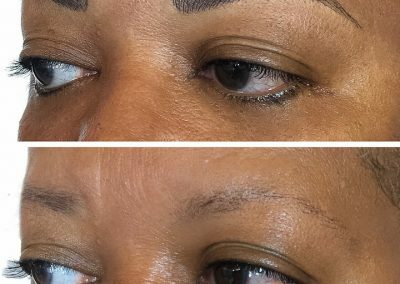 After that, you can lose approximately 50-60% of complete color during the healing process, as a new layer of skin forms over the eyebrow’s color. 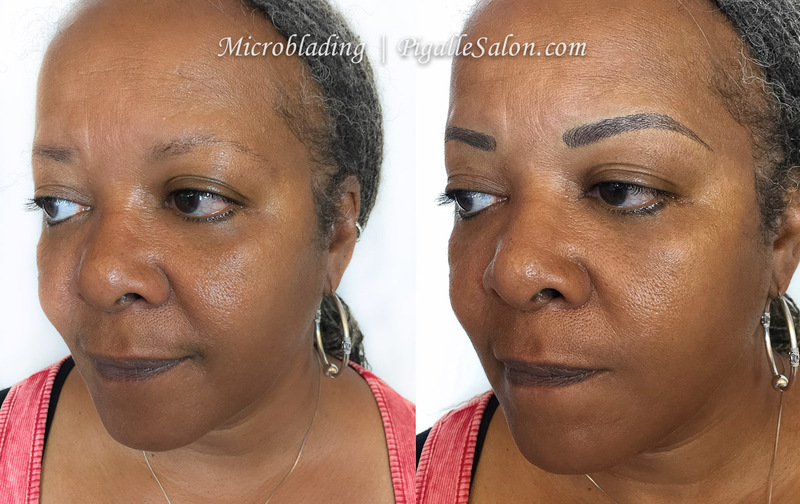 You will than come in for a touch-up treatment, 6 weeks after initiial treatment, leaving with a refreshed color and design to complete your natural looking eyebrows. Select from more than 20 natural tones or we can blend your own unique color. 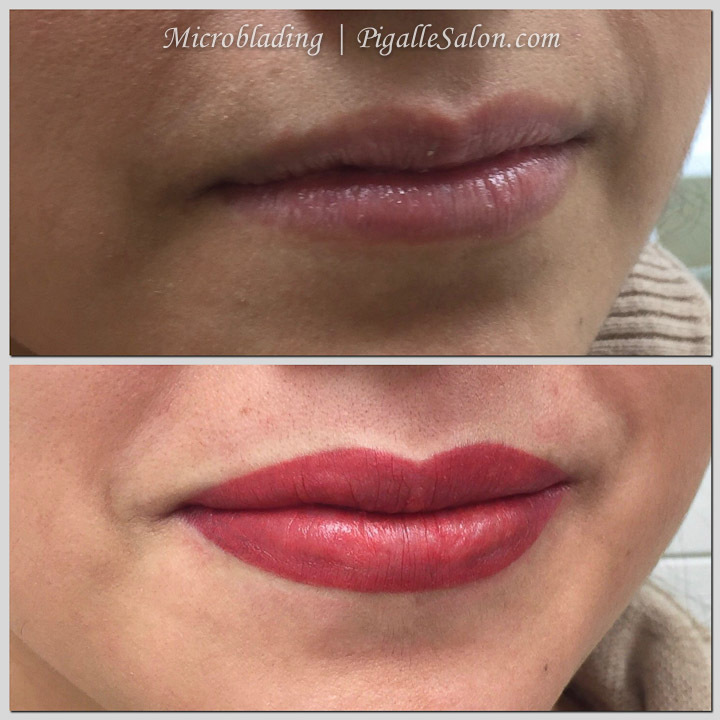 Absolutely, Pigalle Salon & MedSpa is compliant with all state and county health department requirements (MDCH & OCHD), using disposable medical grade needles, safe practice and sterilization of equipment beyond the necessary standards. 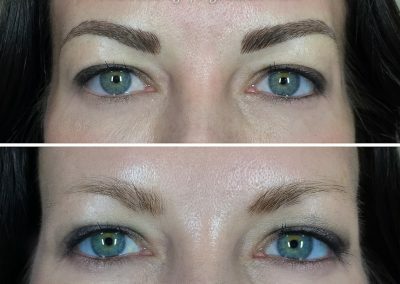 The main ingredient in eyebrow pigment consists of the element Iron Oxide, which is a non-toxic, non-reactive, harmless element that is the most commonly used, FDA approved coloring agent in traditional cosmetics, food and medication. We haven’t had such experience, though as with any cosmetic procedure there is a chance of an allergic reaction. 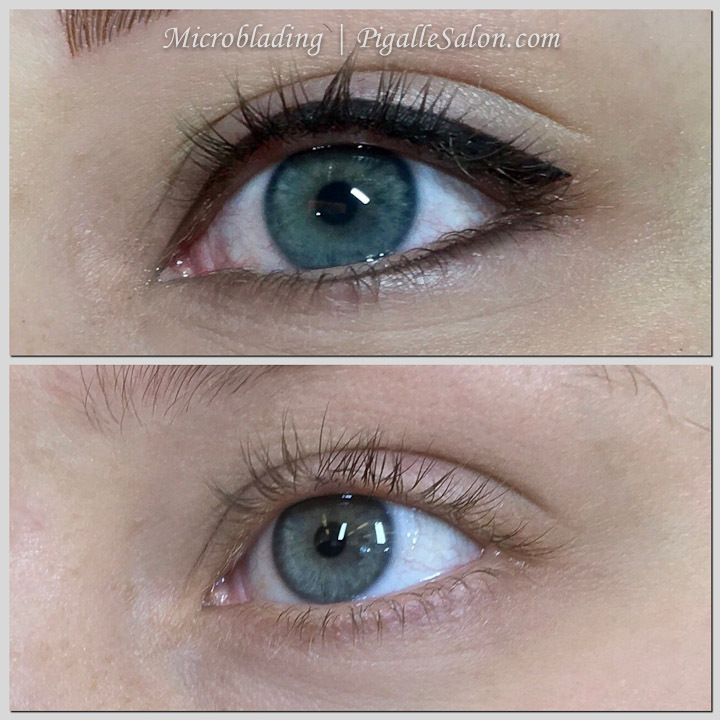 Should you request, we are happy to do a patch test. The majority of people don’t need to take time off work. 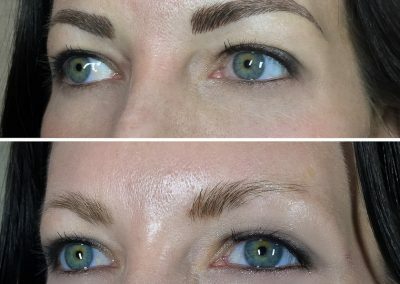 There is usually no swelling with the eyebrow treatments; however this can vary from person to person depending on levels of sensitivity. 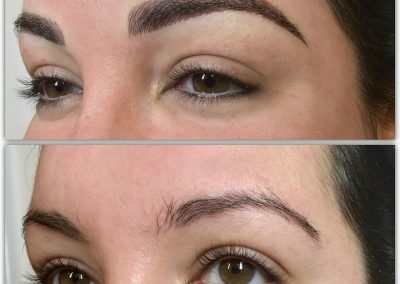 How long does eyebrow embroidery permanent makeup last? 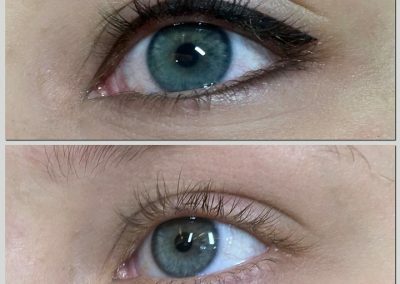 The results will last an estimate of between 12 months to 3 years depending on the technique that is selected by your eyebrow technician, giving you the most enhancing and desired natural look. 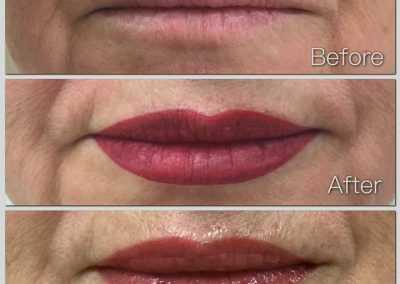 However this will vary, depending on several factors such as your metabolism and skin cell turnover rate as well as how deeply you elect to have the color deposited. 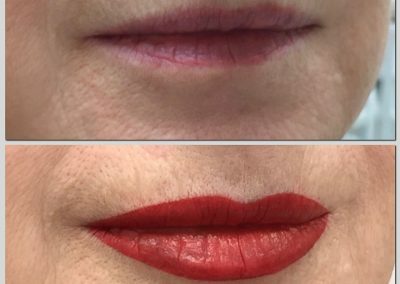 For instance, some clients may only want a very light effect and therefore the specialist will combine a lighter pigment color with a shallower deposit than normal, resulting to a lesser lasting result. 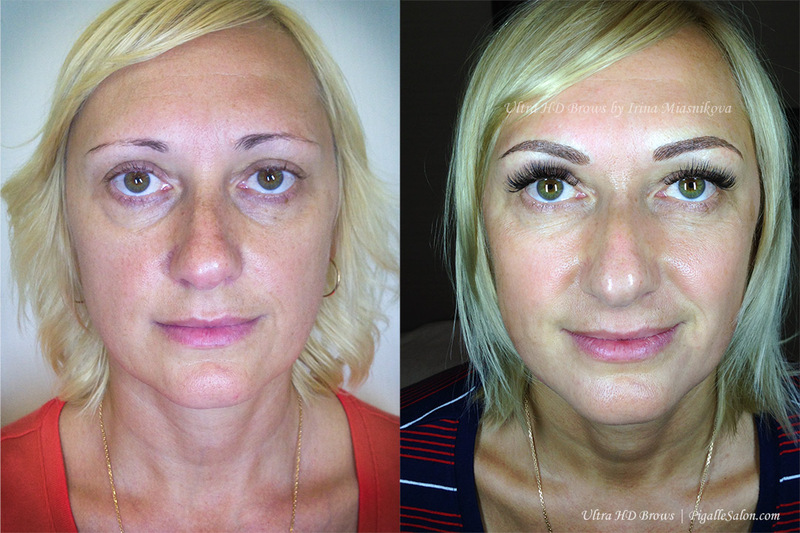 In most cases, only the initial treatment, followed by the touch-up treatment (at no additional charge). 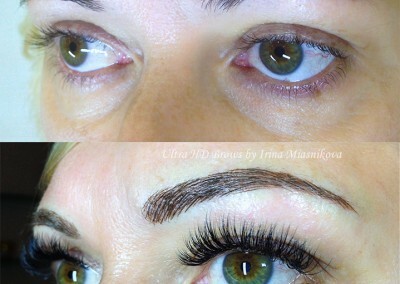 However, in rare cases you may require 1 or 2 more touch-up treatments. Also, if you have a buildup of dead skin cells this may inhibit the pigment taking to your skin, so it is recommended that you exfoliate the area regularly. The first session takes 2-3 hours. Follow-up sessions take up to 2 hours. 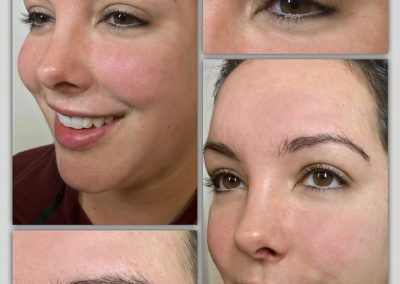 Most clients fall asleep, as the eyebrow procedure includes an application of an anesthetic cream to the area to minimize any possible discomfort. 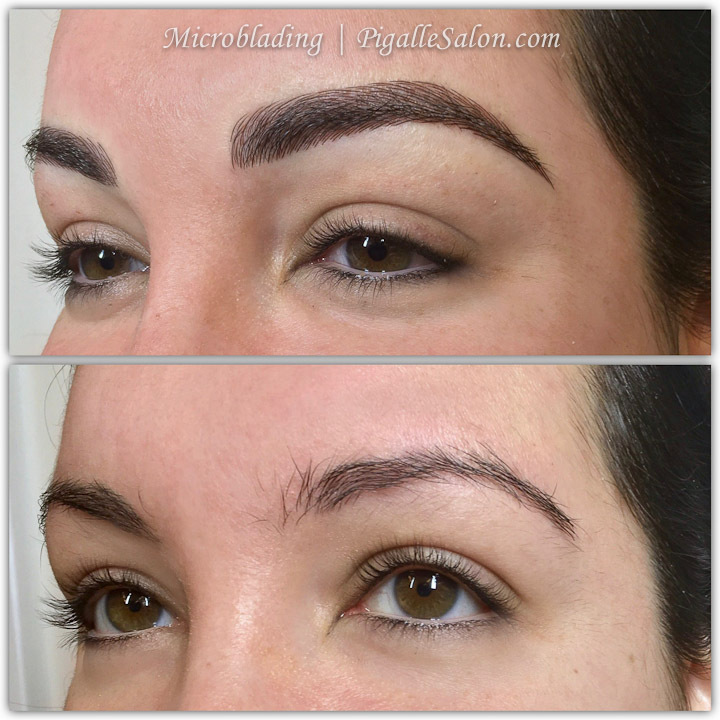 Upon completion your eyebrow technician will apply a soothing lotion to assist with your healing process. 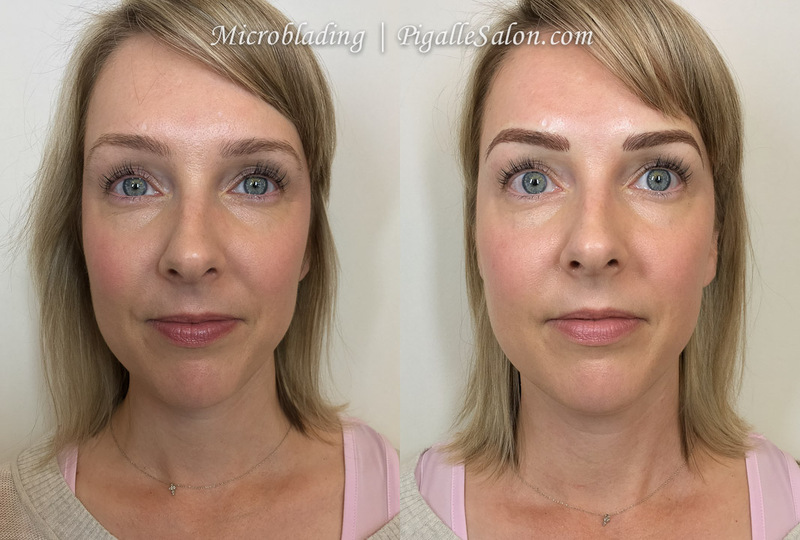 How do our Microblading Eyebrow techniques and technicians differ from others? 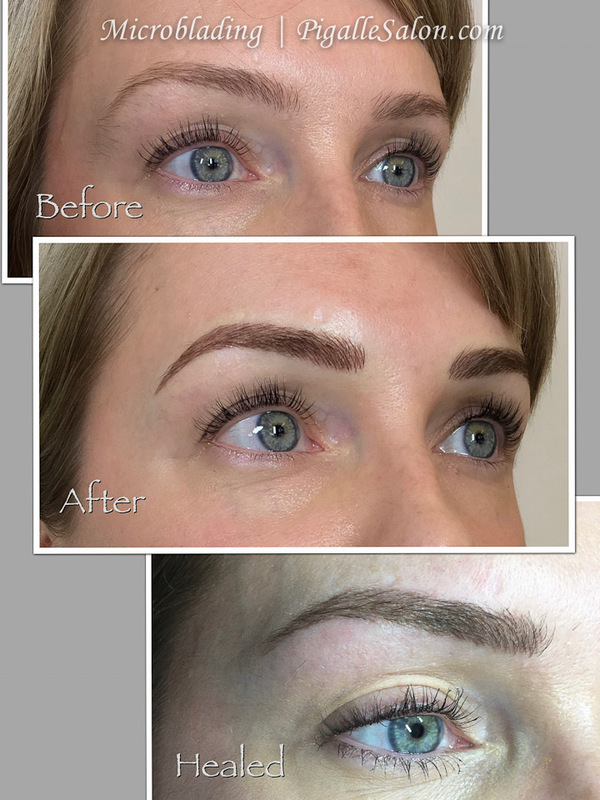 Our Permanent Eyebrow Technician has complete control over where pigment is deposited and where every hair stroke is designed with our innovative hand method techniques. 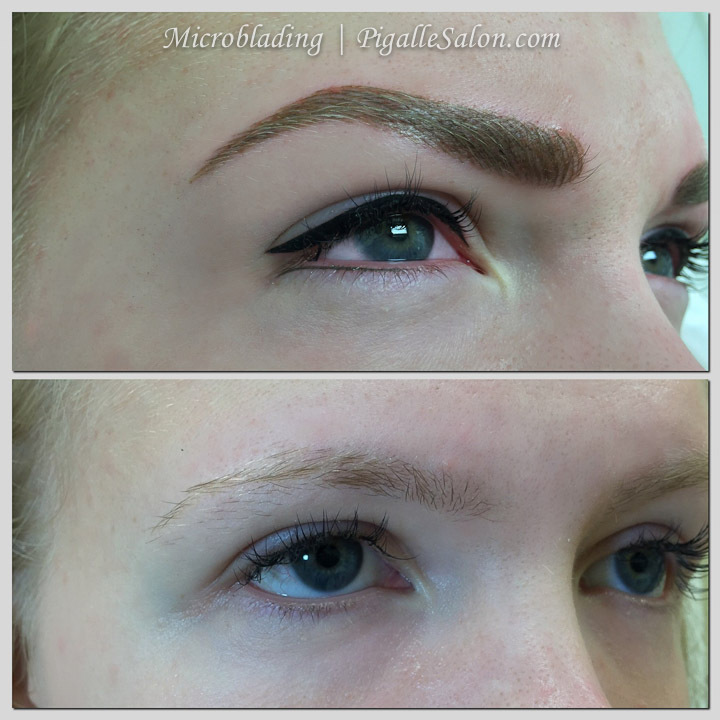 Every move and every touch is at your Eyebrow Technician’s discretion. 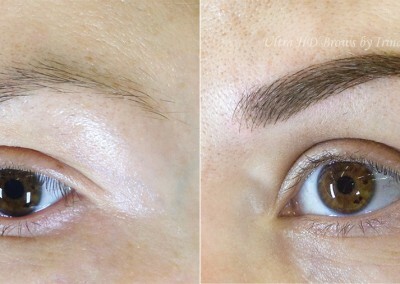 You will relax and be beautified with the longest lasting, most precise, natural eyebrow design you have ever imagined. 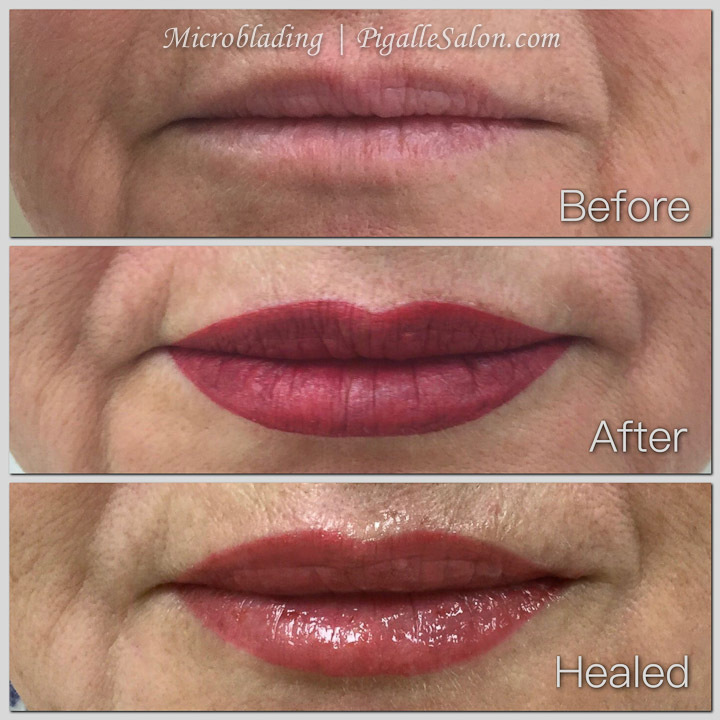 Our medical spa at Pigalle is affiliated with Birmingham Cosmetic Surgery where Dr. Rifai – our medical director is a board-certified plastic surgeon who oversees the facility and our specialists. 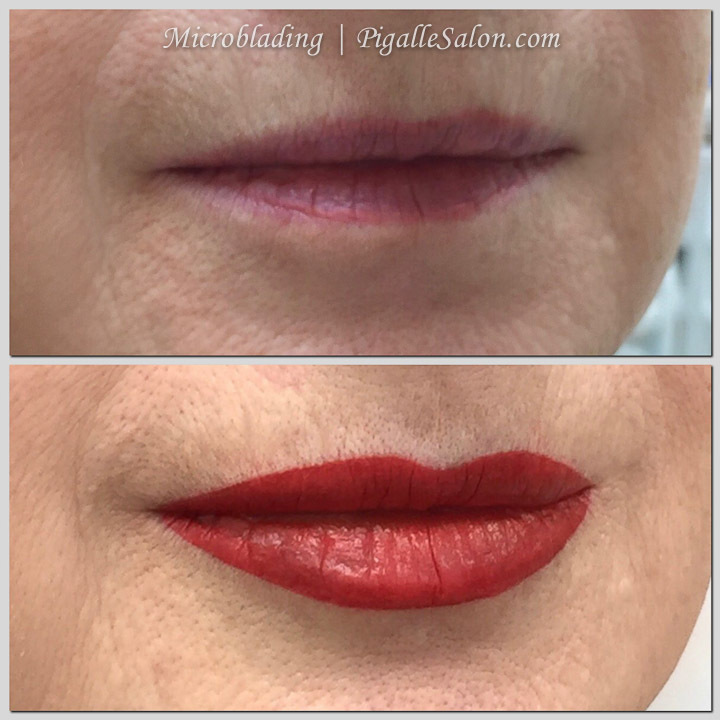 Our technicians are licensed aestheticians or cosmetologists who have received this latest permanent makeup training and certification along with Oakland County Permanent Makeup Practitioner Permits to perform the procedure. We are proud to be the first Permanent Makeup Salon & MedSpa in Michigan that has a sterilization room on site to disinfect and sterilize our instruments in a steam autoclave, spore tested monthly by an independent laboratory (ATS). We also have completed our annual Blood Borne Pathogens training and certification for MIOSHA – Michigan Occupational Safety & Health Administration and are in compliance with state and federal safety regulations. Our qualifications and experience are very important factors as we always put the health and safety of our clients and practitioners first. 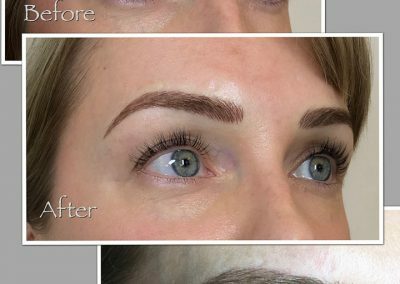 Our professionally trained eyebrow technicians are here to create or reconstruct the most suitable long lasting, beautiful and natural eyebrows you have always desired. 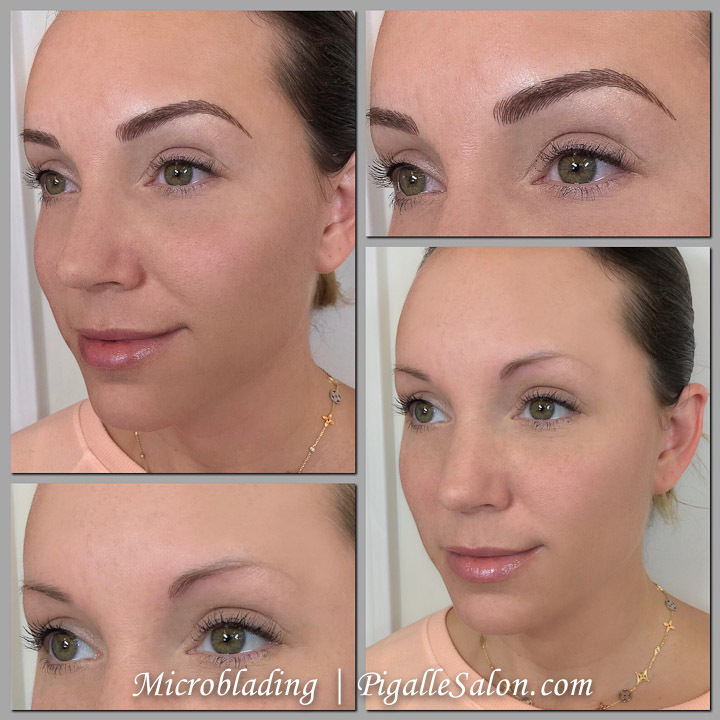 Best microblading permanent makeup for my eyebrows! 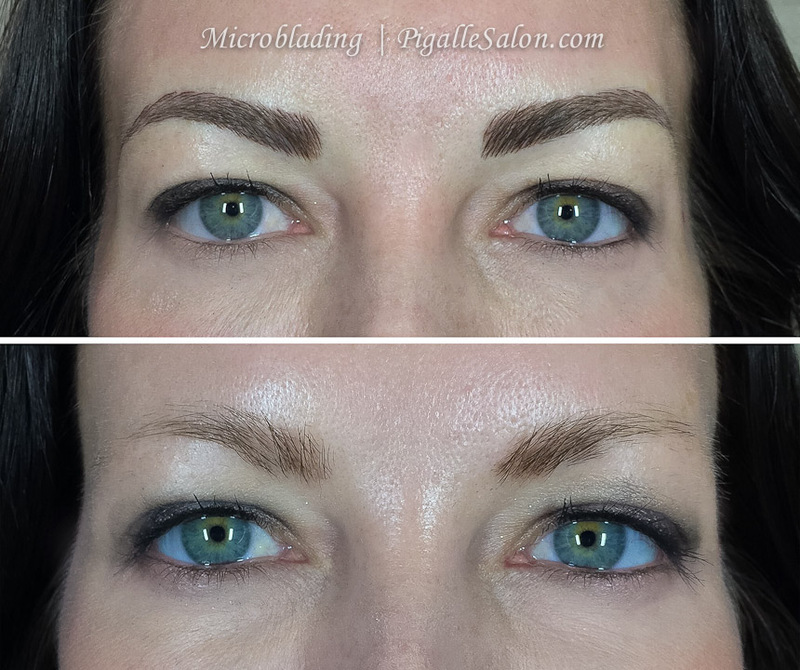 My eyebrows look so natural, it's hard to tell it's been done with Microblading new permanent makeup technique! 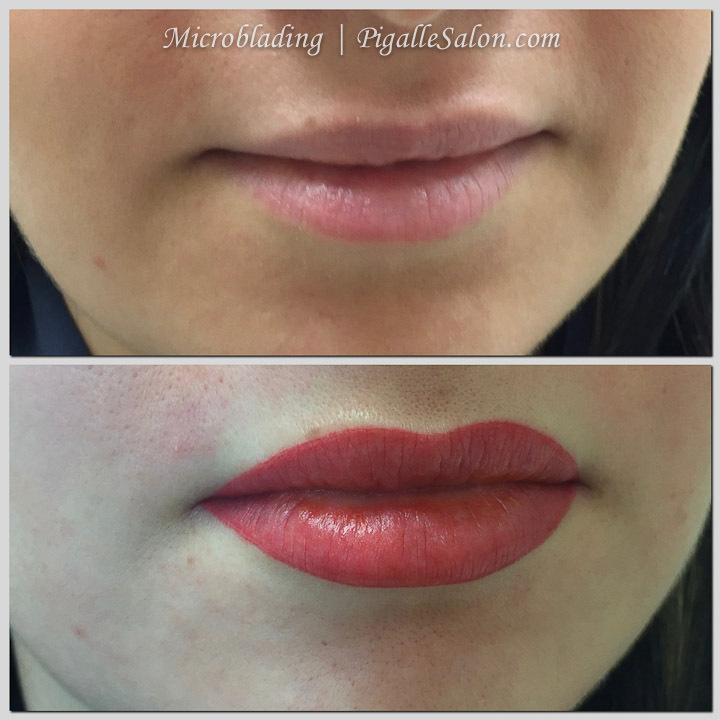 Everyone at Pigalle is licensed in Michigan, which made me feel safe to do the treatment. I highly recommend them! 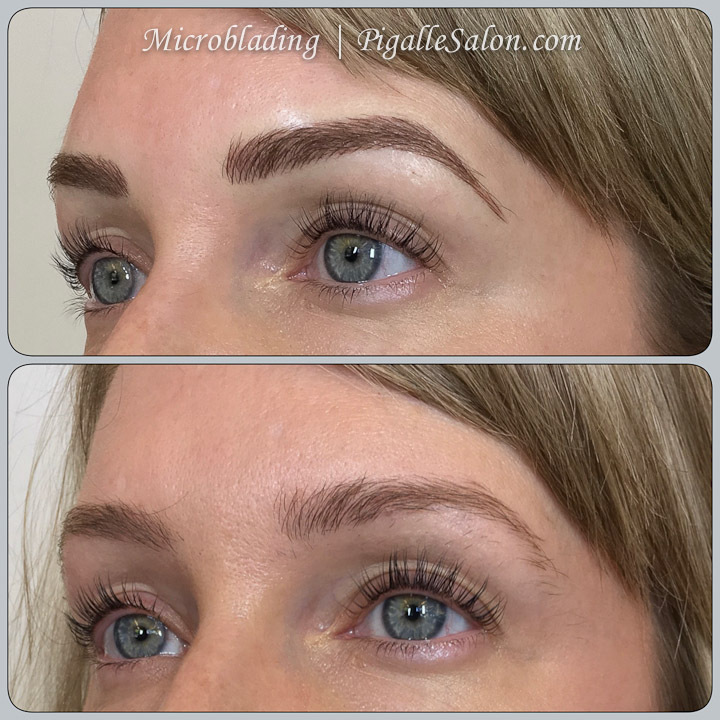 Microblading eyebrow permanent makeup will enhance the look of your eyebrows with multi-dimensional and natural looking fine hair like strokes – giving you an overall appearance you desire. 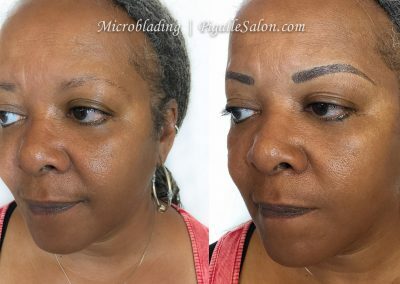 They did an AMAZING job on microblading my eyebrows. Worth the money for sure. They are so beautiful!!! I couldn’t be happier with the results.